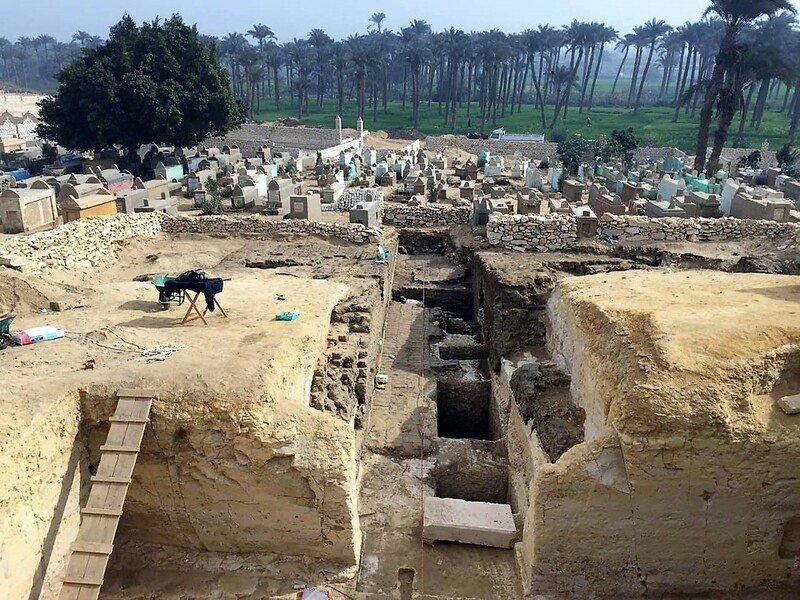 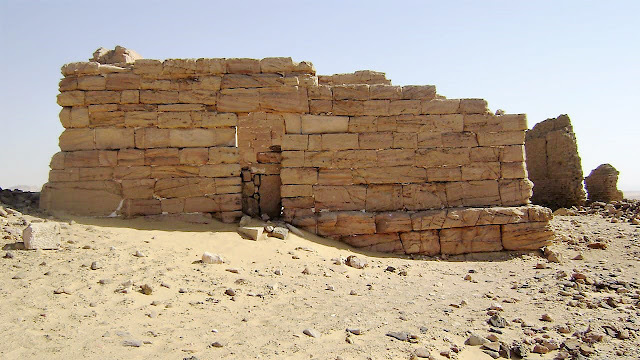 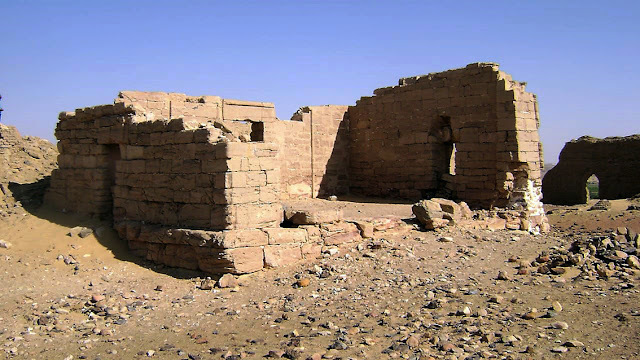 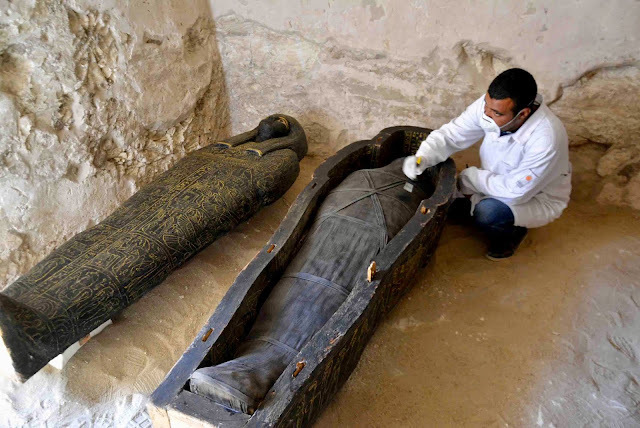 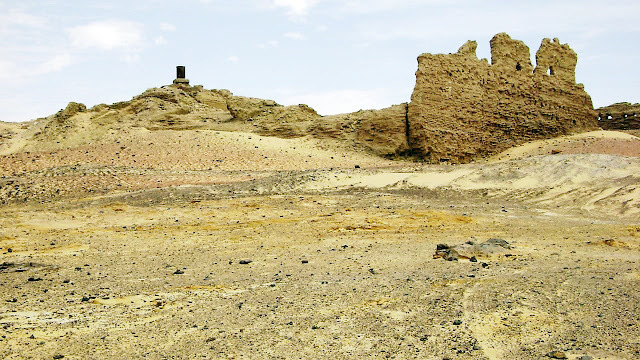 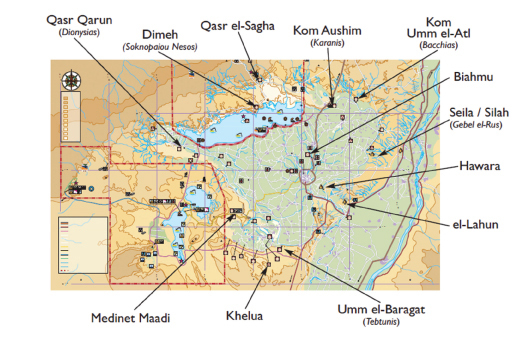 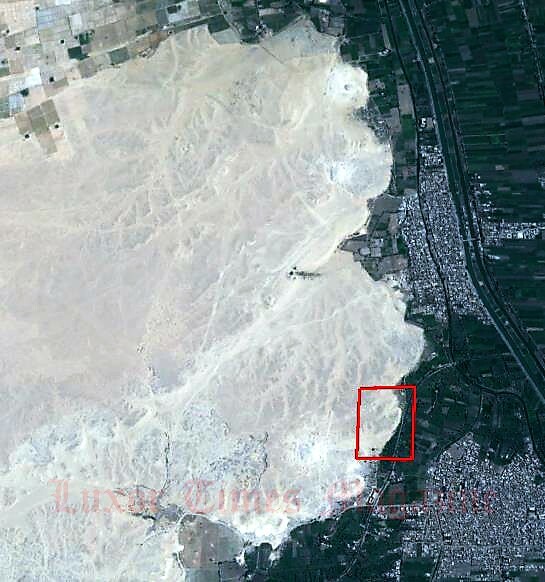 Dr. Mostafa Waziri said “El Khelua is located at the far south of Fayoum about 40 km from the town. It is a Middle Kingdom necropolis and precisely the time of King Amenemhat III (1842-1799 B.C) and it was reused as a Christian settlement during Byzantine time. 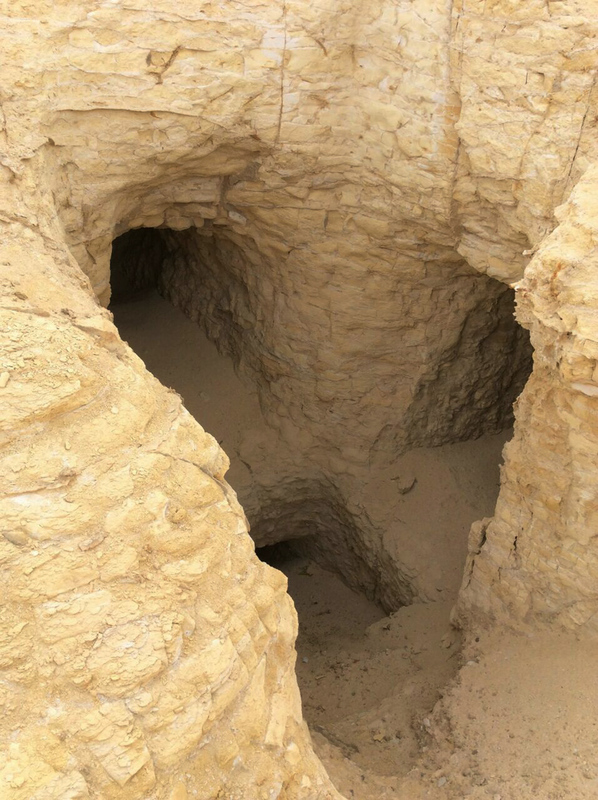 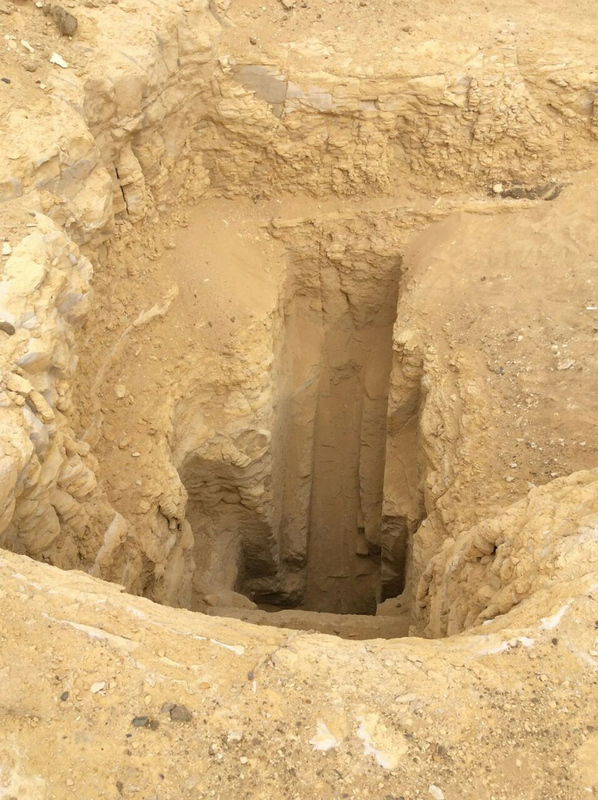 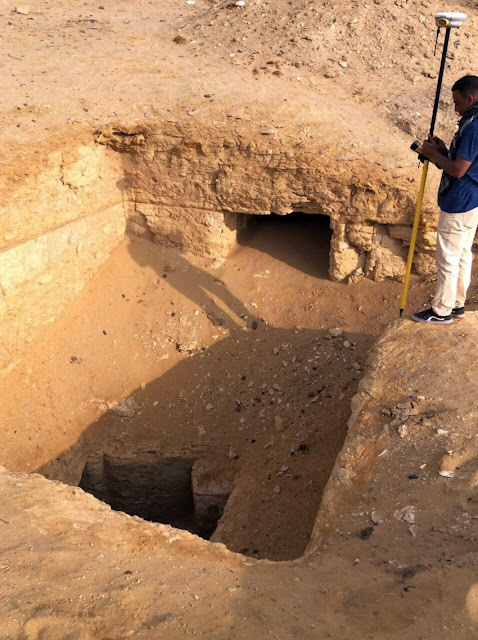 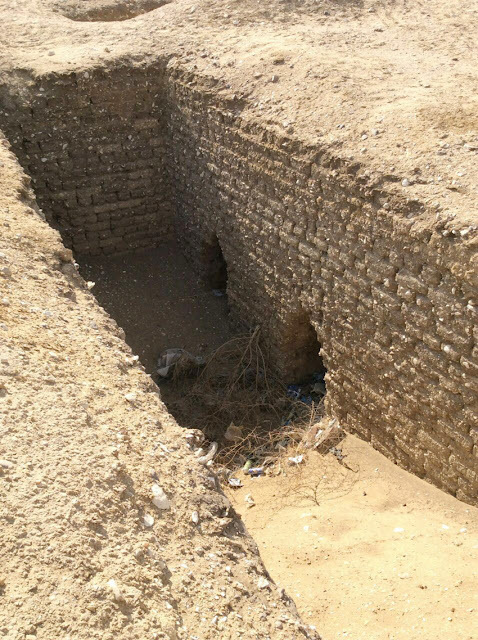 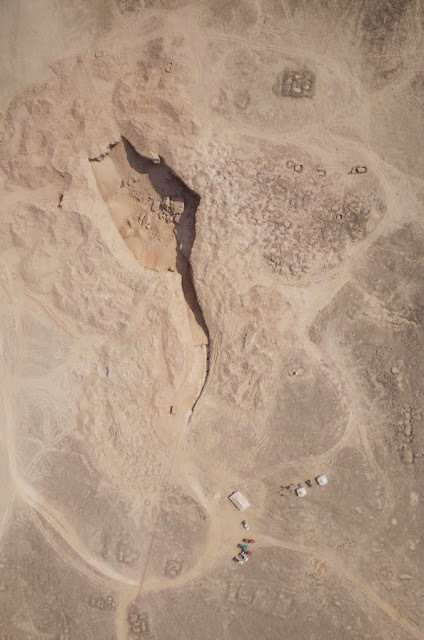 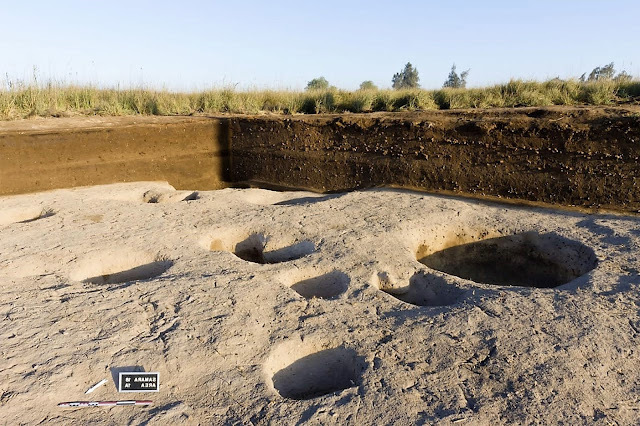 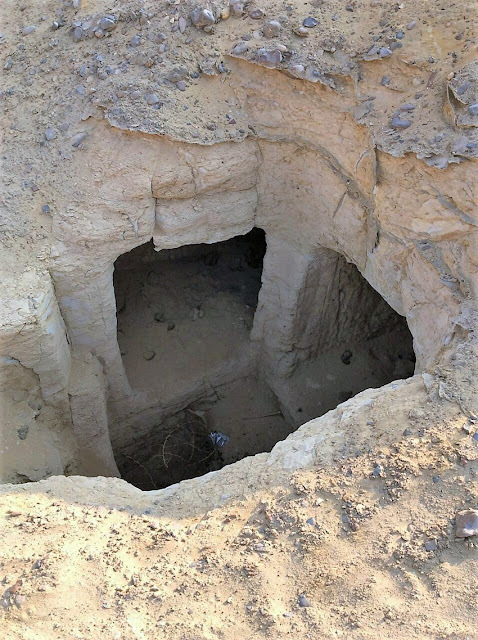 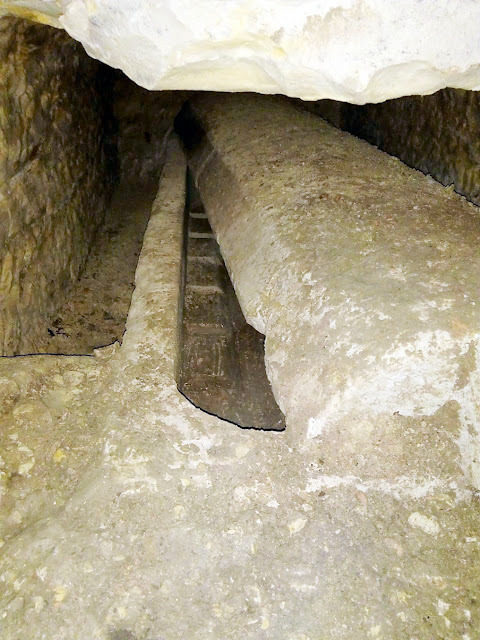 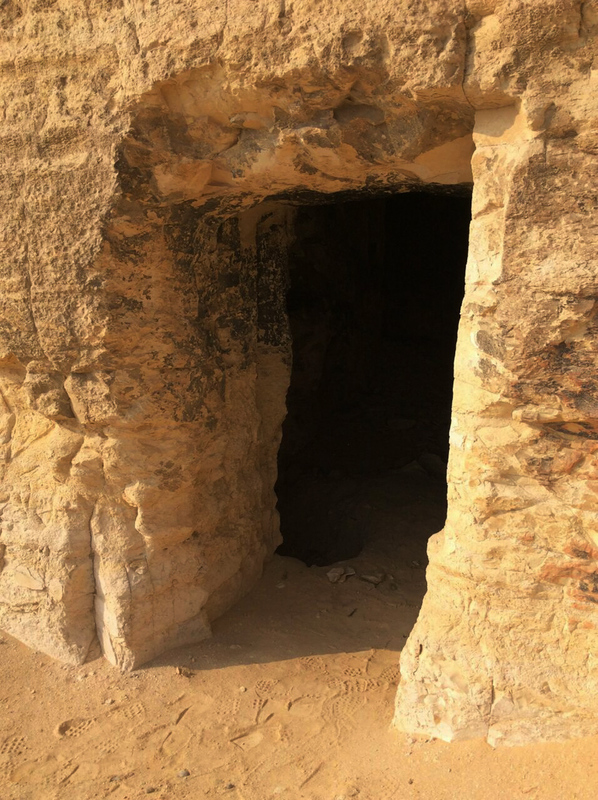 Dr. Aiman Ashmawi said that the shaft leads to 3 burial chambers. 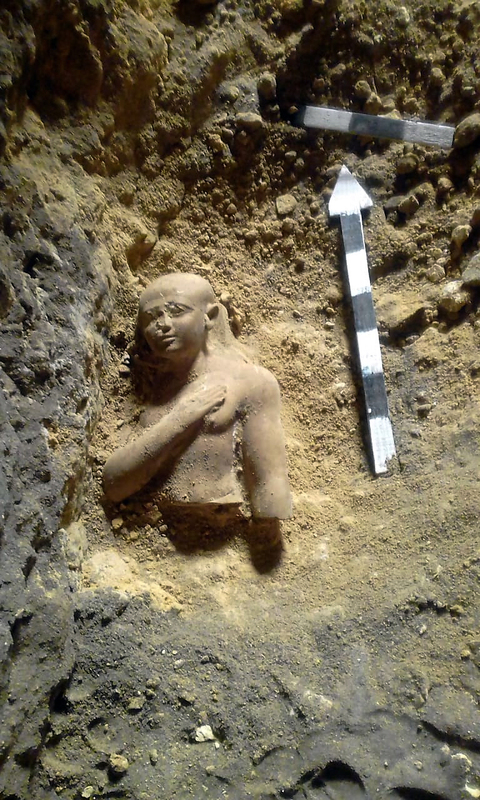 The team found in them 40cm-torso of a sandstone statue of a person with his right arm across his chest. 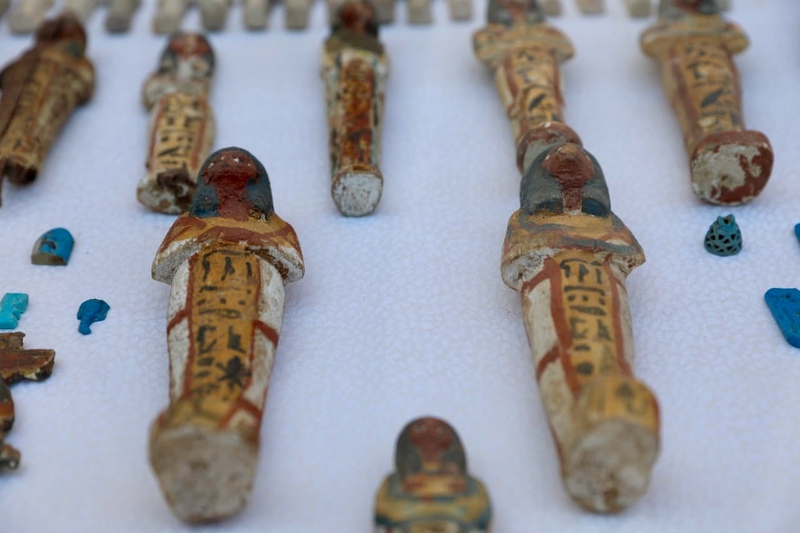 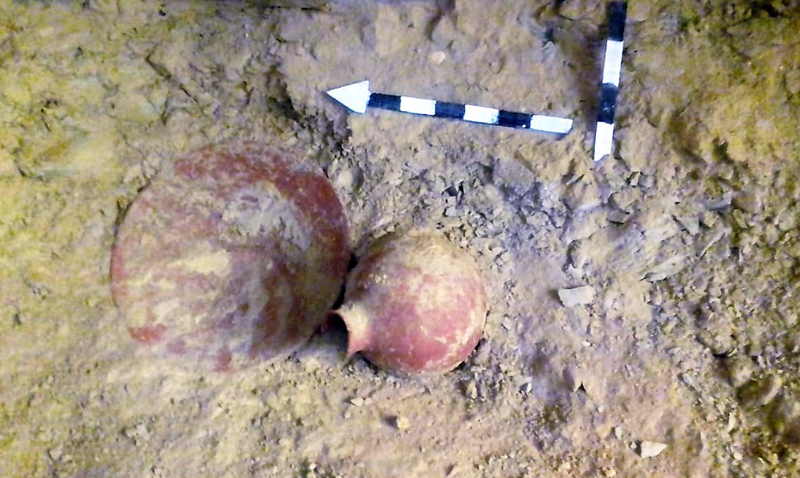 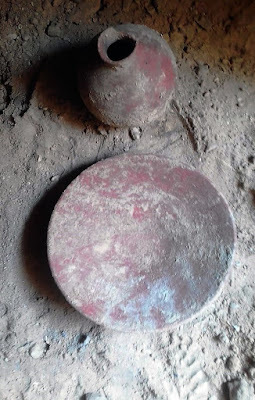 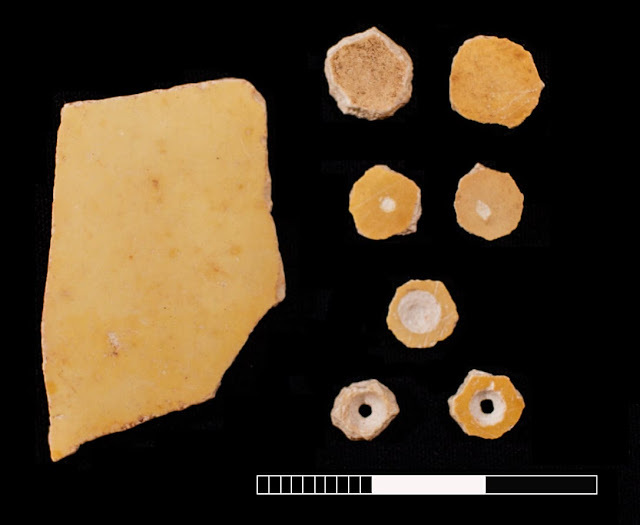 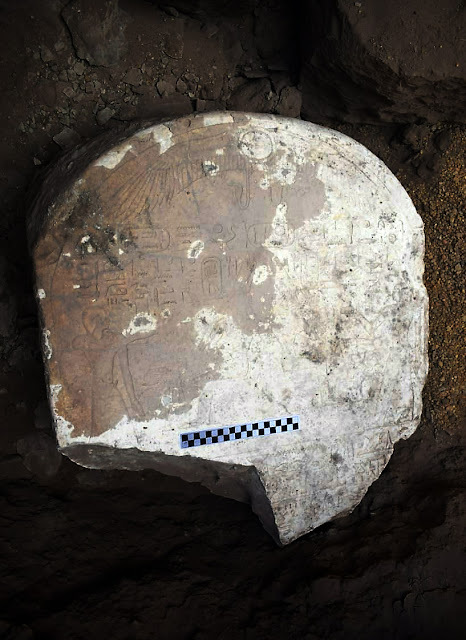 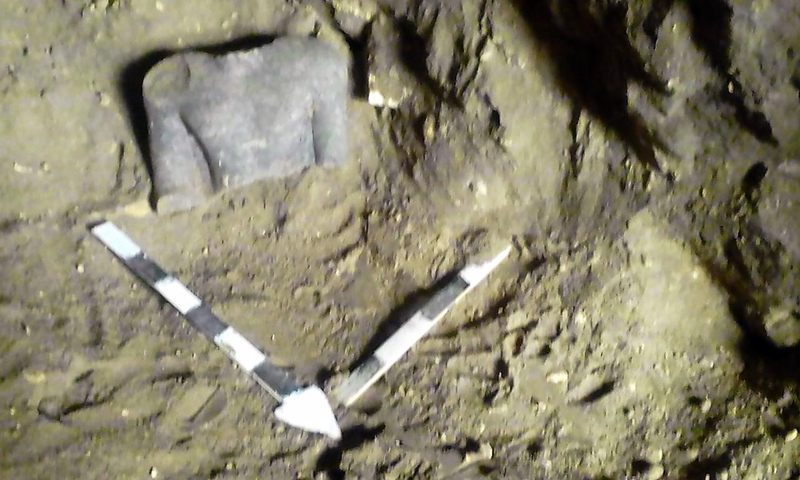 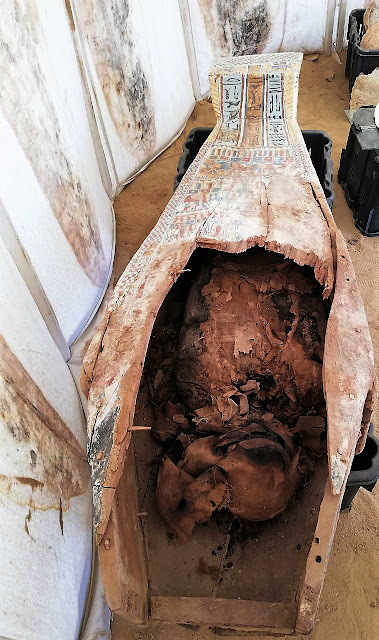 The findings include a middle part of basal statue measures 20 cm in height and a number of potteries besides 3 canopic jars covers but the jars themselves are smashed and inside one of them remains of the deceased. 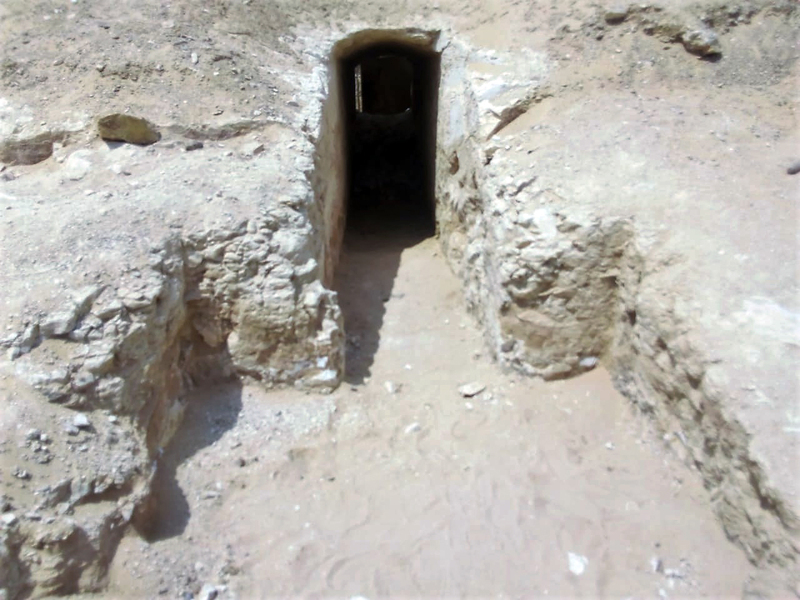 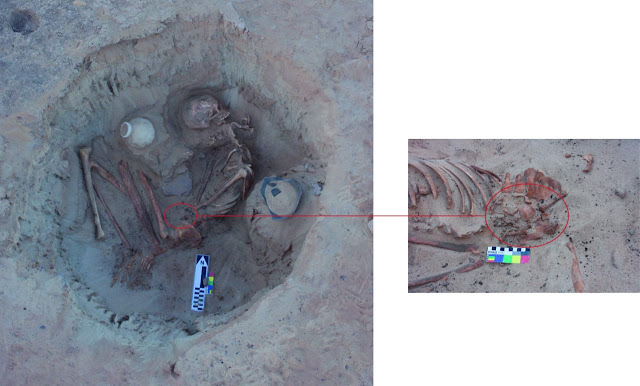 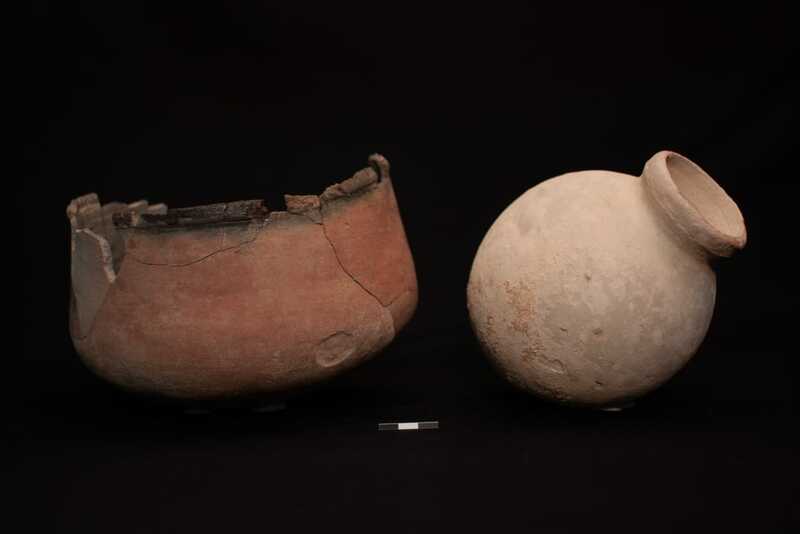 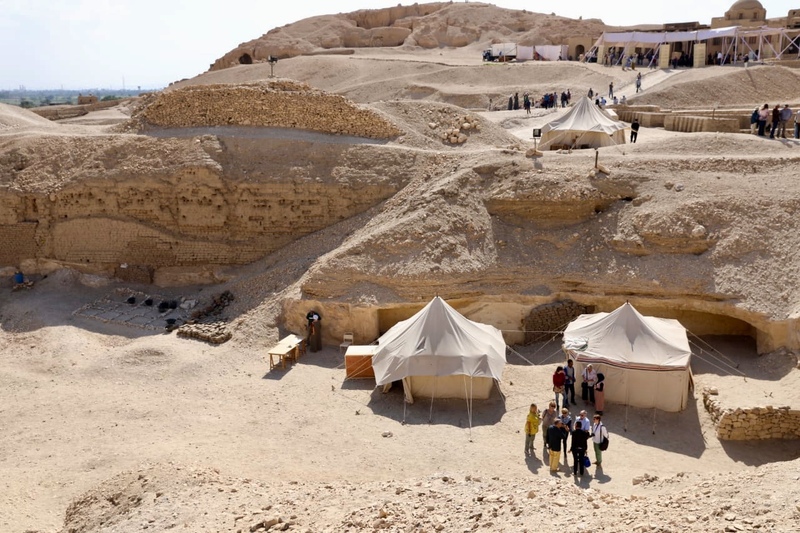 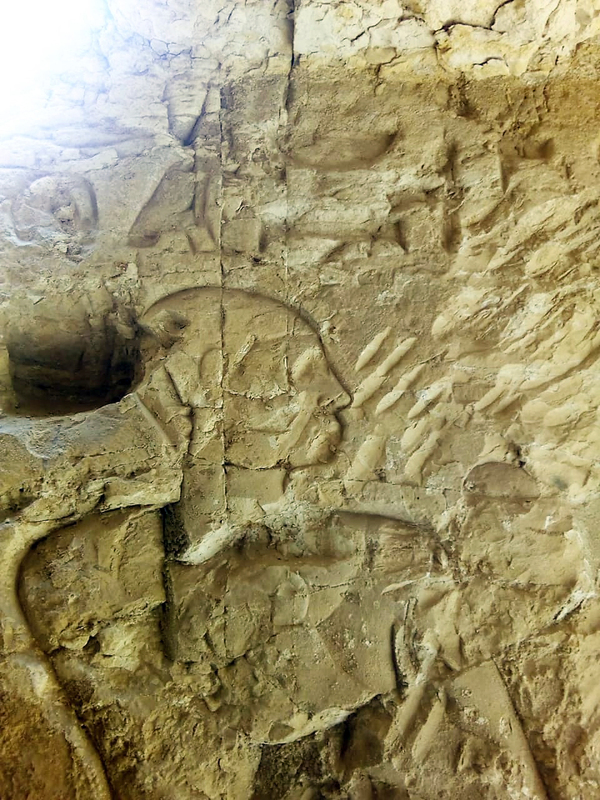 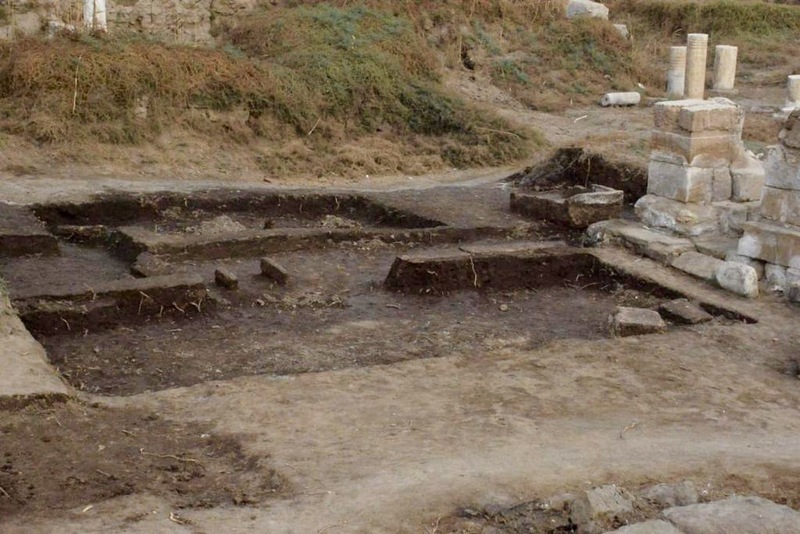 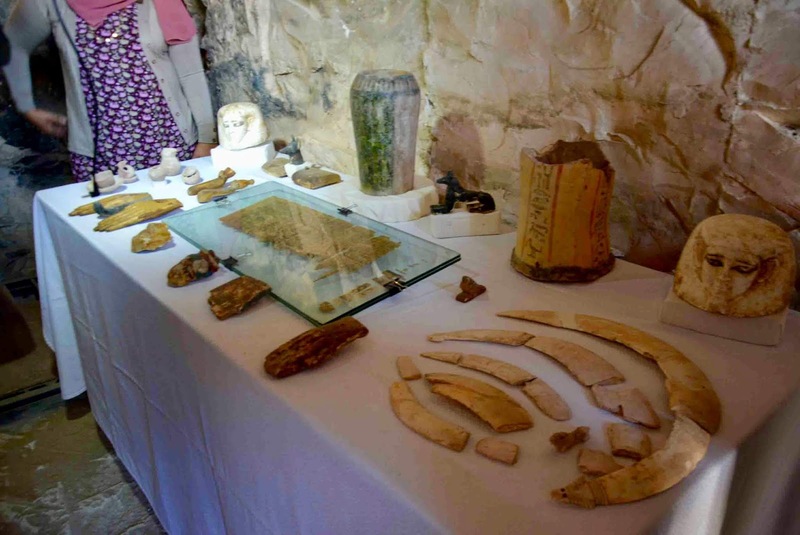 Dr. Ashmawi implied that it was probably robbed and reused as a burial in later times. 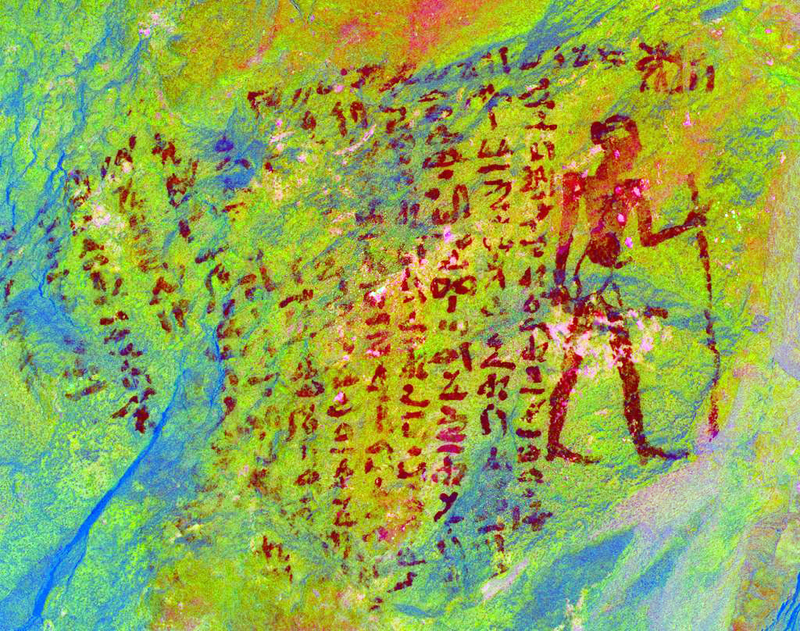 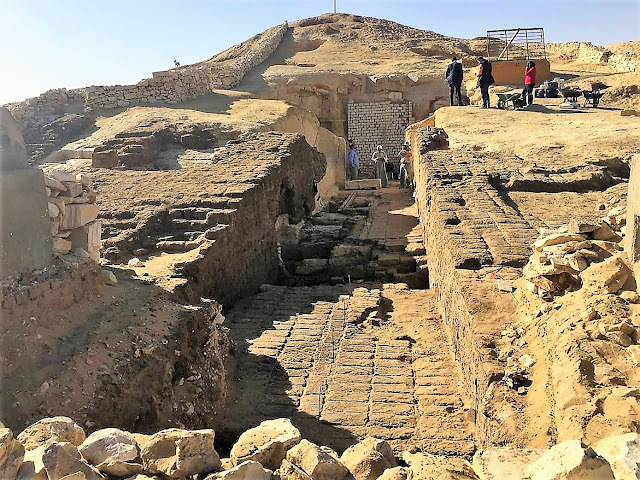 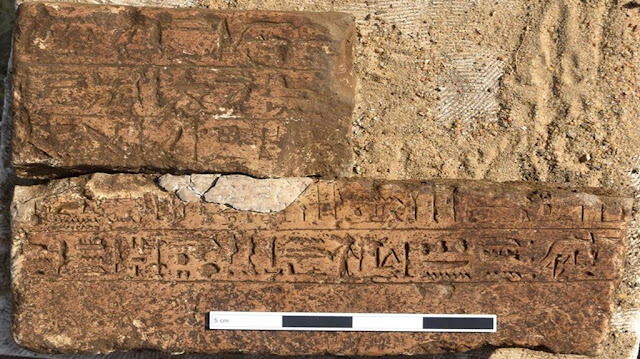 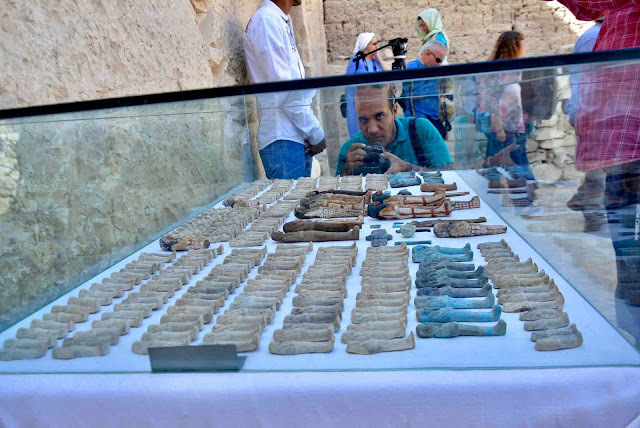 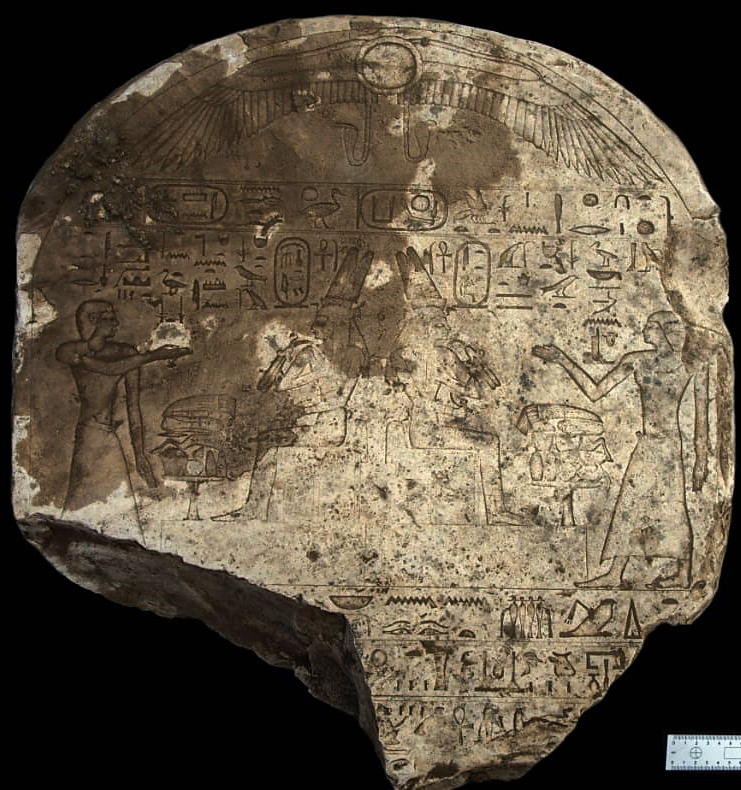 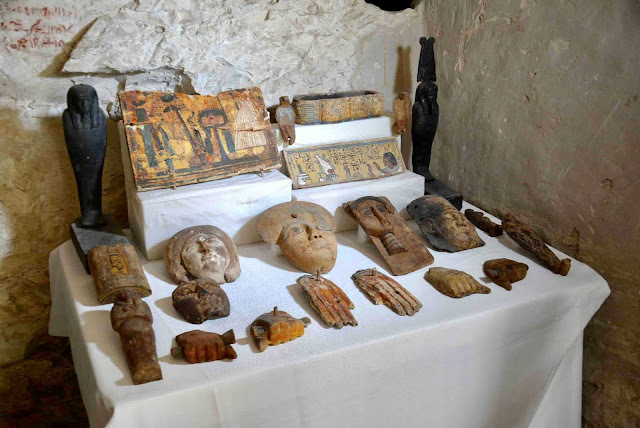 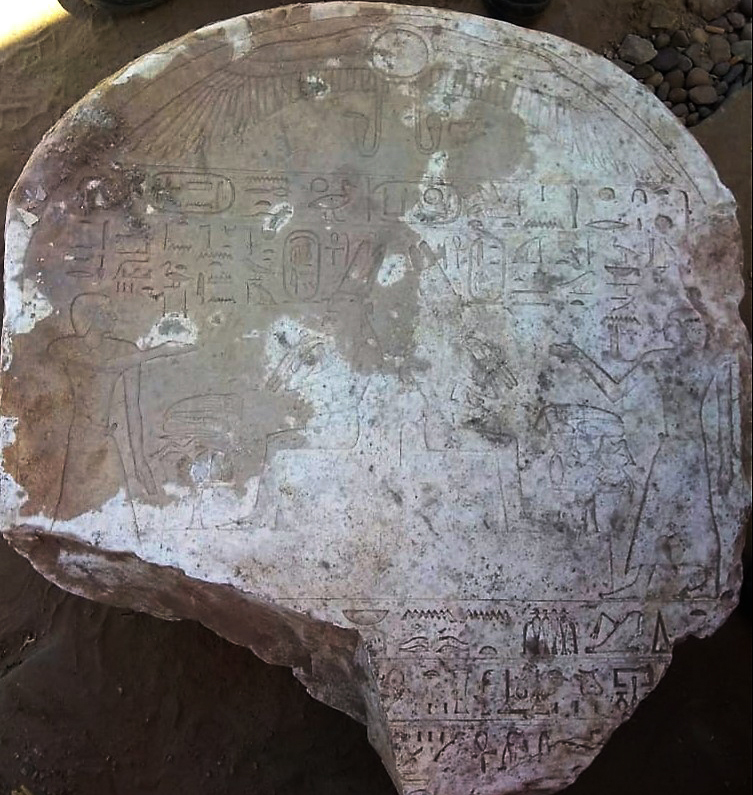 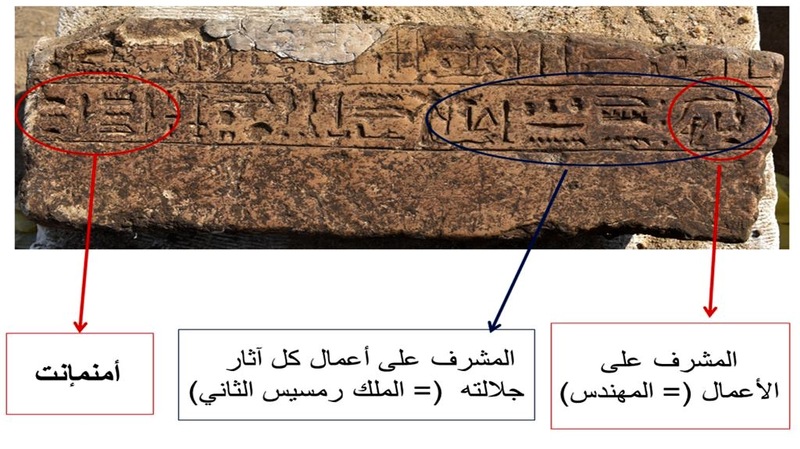 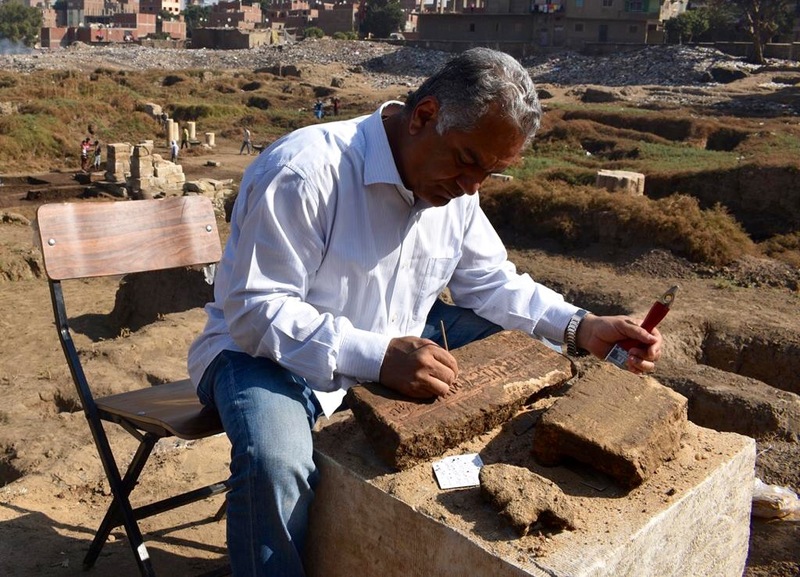 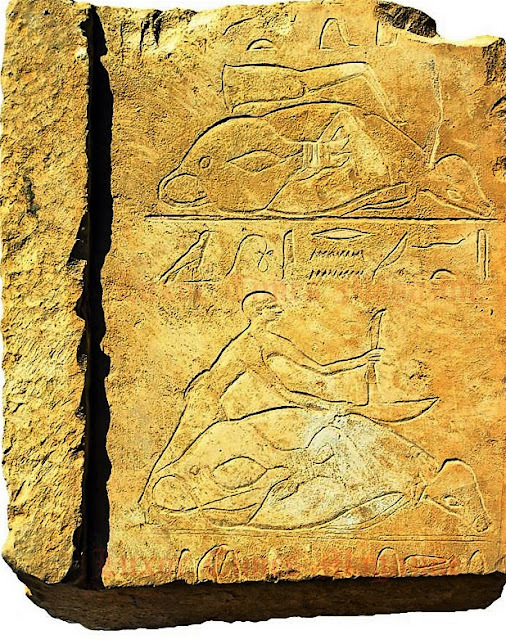 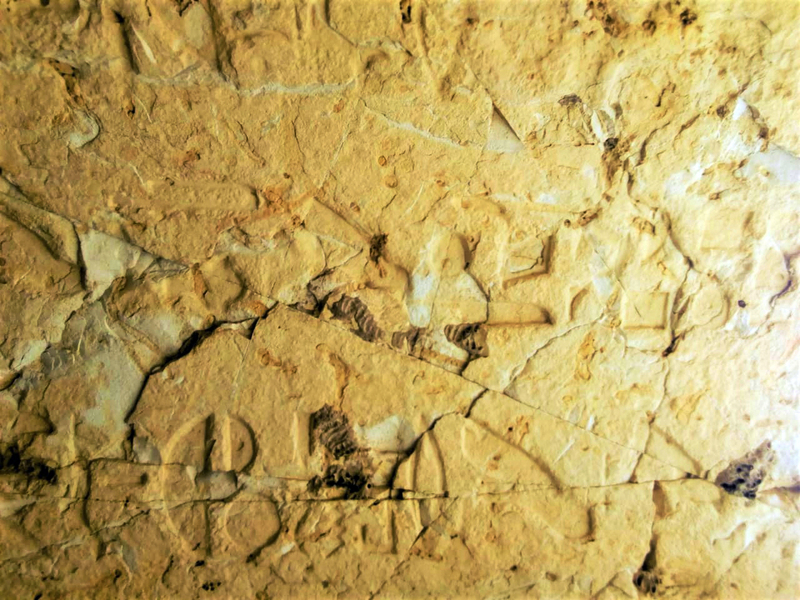 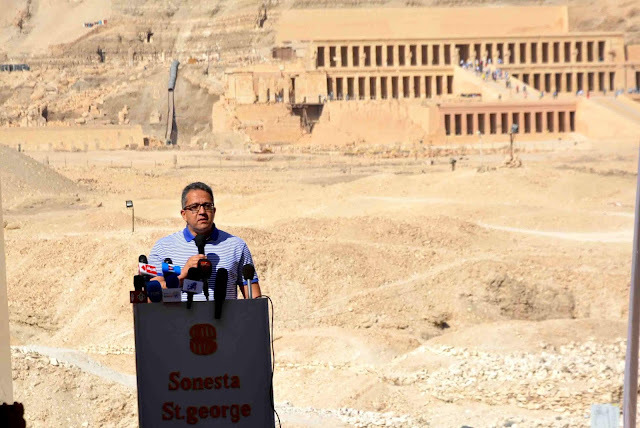 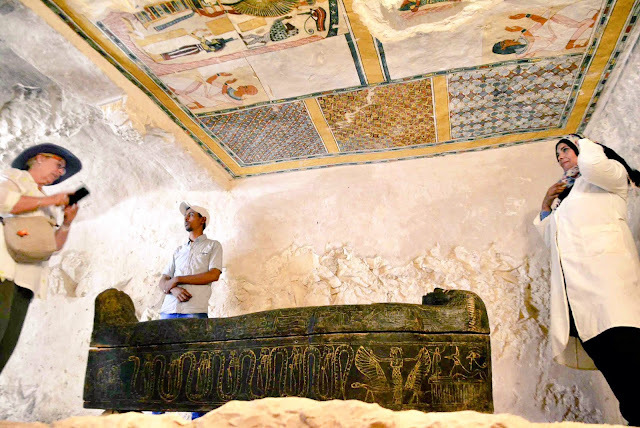 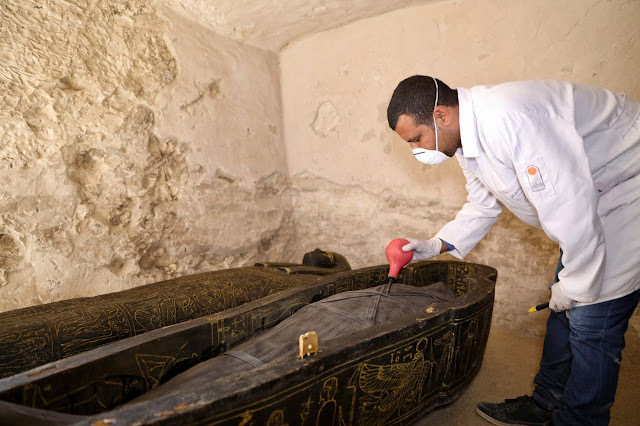 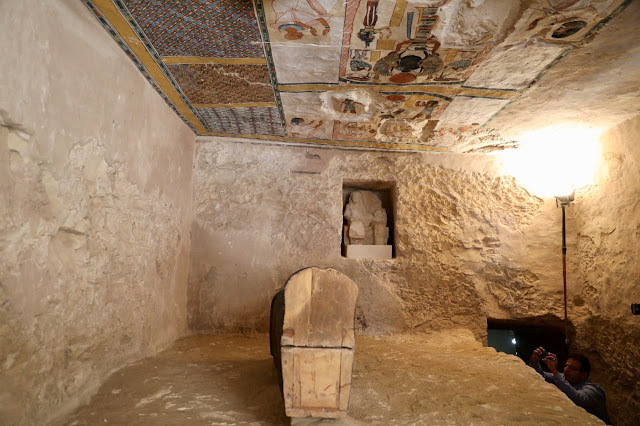 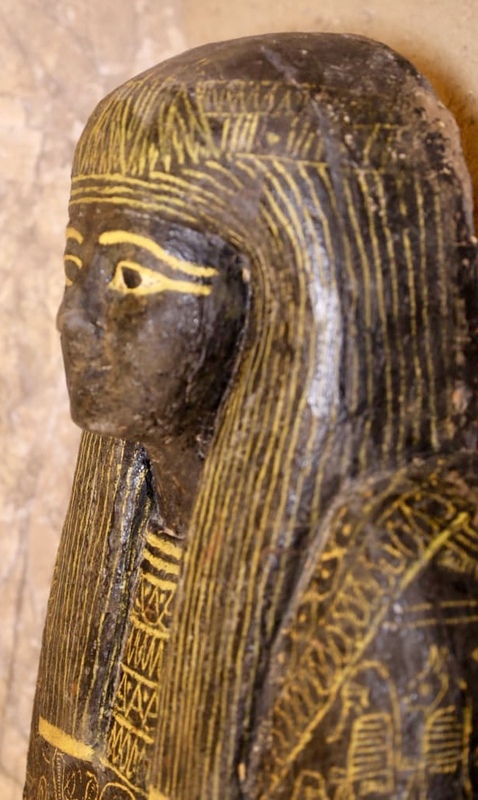 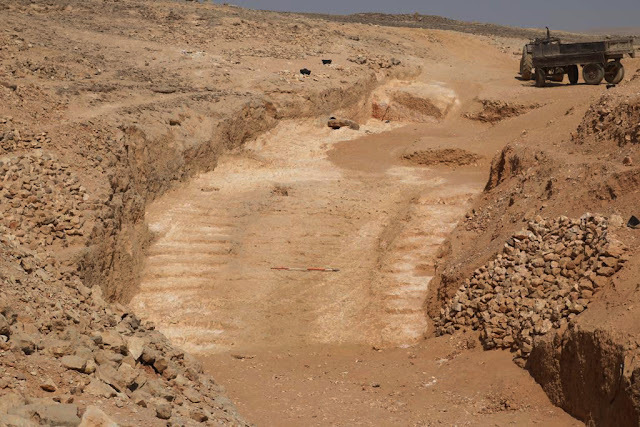 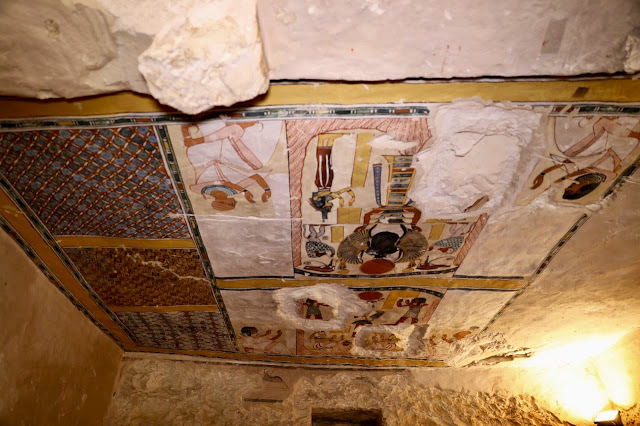 Dr. Hany Abo ElAzm (Director of Middle Egypt Antiquities) said “The Tomb of Waje in a rock cut tome and it was discovered by the Italian mission of Pisa university in 1981 during an archaeological survey project. 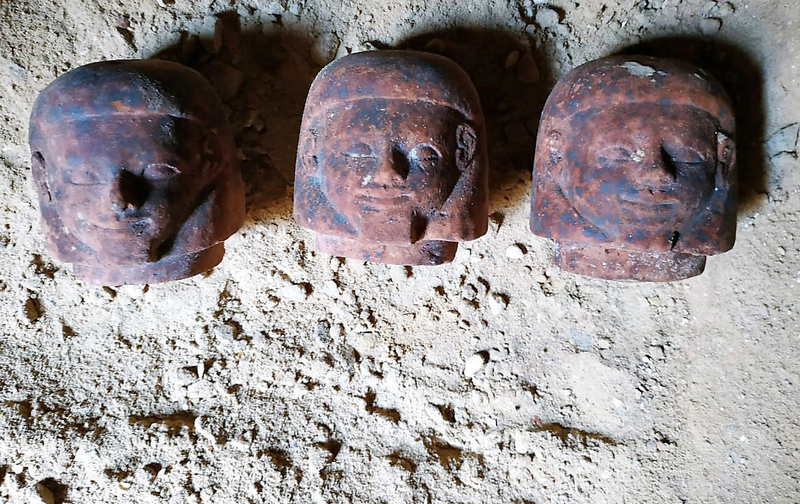 The mission discovered a limestone statue bearing the name of Prince Waje and it is currently in the storeroom in Kom Oshim in Fayoum.